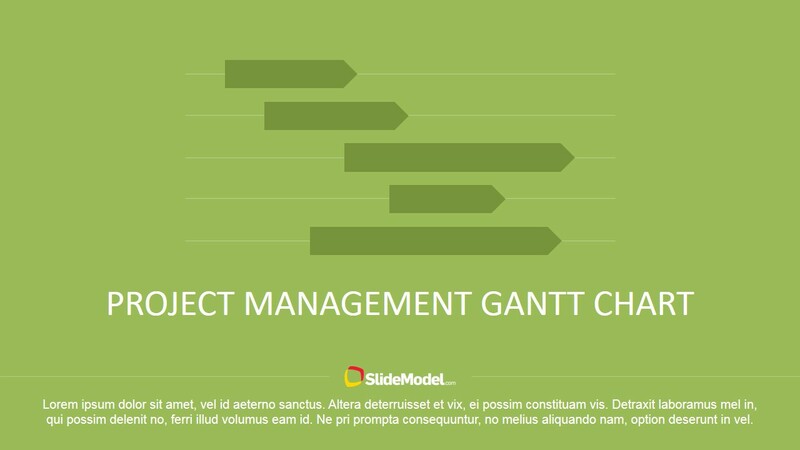 Make a comprehensive timeline of your project using the Project Management Gantt Chart PowerPoint Template. 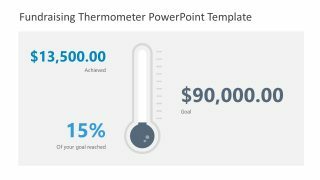 This professional template can be used to plan your projects including the information about tasks, duration and resources. 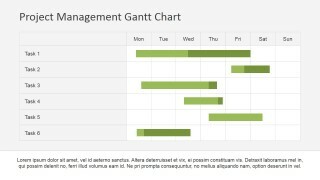 Gantt Charts shows various activities, and their precedence, against time. 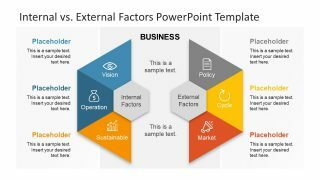 With just a glance at the PowerPoint chart the audience can get information related to the tasks, time periods of the activities, what activities overlap with each other, start and end date of the tasks and required resources allocated. 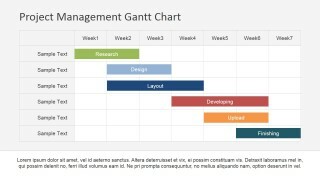 A concept first researched by Karol Adamiecki back in 1896, Gantt chart was further developed by Henry Gantt in the 1910s and later named after him. 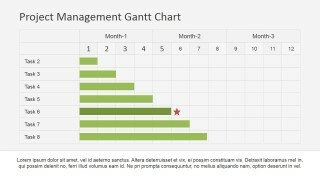 It is a kind of flat horizontal bar chart, which is used to illustrate your project plan in a professional visual fashion. 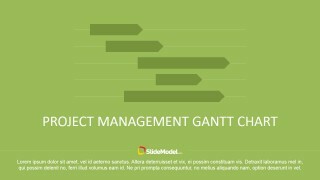 It has been extensively used in project management and offers a simple to understand view to the readers. 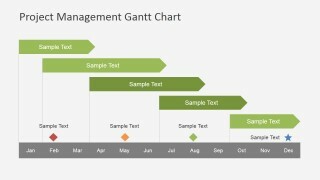 The graphical view offered by Gantt chart is easy to follow and covers the information related to execution, completion and pending tasks. The template is designed in professional and modern flat style, which makes it suitable for project management and corporate governance. With a user-friendly structure (including data driven versions that can be edited in excel), it makes a powerful impression on your audience. 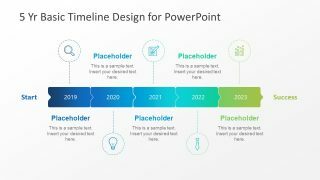 The template allows you to create a timeline of your project using the PowerPoint design and can be edited completely; the shapes are created with PowerPoint objects allowing the user to adapt to the presentations theme. 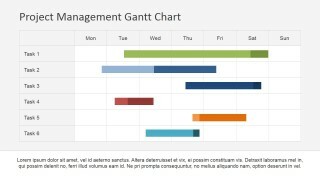 The work breakdown structure (WBS) is used to communicate the tasks relationships and can be mapped to the Gantt Chart to schedule the plan of execution. 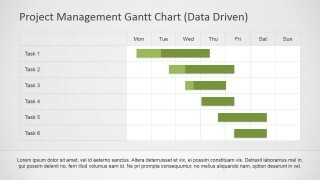 This becomes very handy when it comes to the monitoring and control of the project. 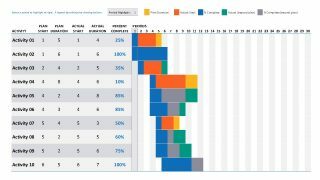 The chart makes use of various styles suitable for your different needs. The template can be effectively used to start a web campaign depicting the proposed schedule broken down in the different work components. 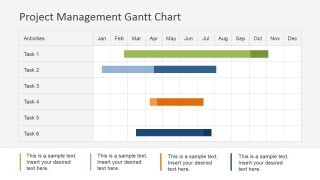 Impress your audience during you Project Steering Meeting communication your plan, execution and achievement through the Project Management Gantt Chart PowerPoint Template.